Bandai of Japan’s continuing their Kamen Rider Converge series, with a 2nd set of these cute little Riders having just been announced. Kamen Rider Converge Series 2 will include: Agito Ground Form, Gills, Decade, the Horse Orphenoch, and a final yet to be revealed character. Price and release details are currently unknown, but we’ll bring more updates as they’re made avalaible. 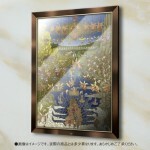 Bandai Premium announced the release of the Kamen Rider Agito Art Archives Set. The set contains a booklet and piece of artwork, the artwork represents the picture that can be seen in the opening of the series and will be housed in a custom made frame included with the set. Set for a release in March, the Kamen Rider Agito Art Archives Icon set will retail for 6300 yen. We threatened our photo contributor Jmann with sticks, stones, and other nasty things if he didn’t put up some pictures of something. So he responded with this pretty awesome gallery of Kamen Rider Gills from one of his favorite series Kamen Rider Agito. Check out the full gallery by or by simply clicking the link at the bottom right of this page! What do you think? Should we keep Jmann around? Give him some love or give him the ax! Shishioh brings us an extensive hands on look at the SIC Gills Raider and Dark Hopper bike set intended to be used by the S.I.C. 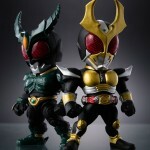 Gills and Another Agito two pack. The bike set itself includes no unique accessories, but includes one bike frame between both bikes, and a swappable armour gimmick. Check out Shishioh’s full gallery after the jump! › Companies: Tamashii Nations, Bandai › Characters: Kamen Rider Gills, Kamen Rider Another Agito › Toyline: S.I.C. Yet another preview for Bandai Namco’s Super Climax Heroes video game has been released. The new PV show cases the game’s long roster, which features Eternal, Zanki, Todoroki, Garren, Chalice, Leangle, Delta and Gills, in addition to new characters: Kamen Riders Skull, Joker, Saga, and Wizard Flame Dragon form. Previous Rider actors have been confirmed to reprise their roles such as Ren Kiriyama who played Shotaro in Kamen Rider W will return to voice Kamen Rider Joker. gNext up in Amiami’s image gallery of the Bandai Tamashii Nations Vol 4 event we have the Kamen Rider displays! Check out the gallery after the jump! › Characters: Kamen Rider OOO, Kamen Rider Den-O, Kamen Rider Zeronos, Kamen Rider Knight, Kamen Rider Super-1... › Toyline: S.H. Figuarts, S.I.C. 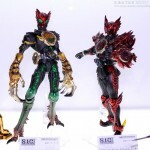 Bandai’s Tamashii webshop has updated with images an SIC Gills Raider and Dark hopper set. 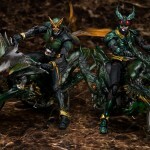 While only one bike will be included in the set, it will feature removable parts so that it can be switched between the two bikes that appeared in the Kamen Rider Agito series. 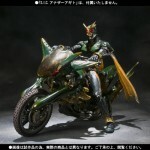 The bike(s) are a Tamashii web exclusive due for release in November and priced at 8925 yen. Check out all the mirrored images after the jump! 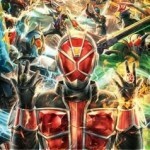 Want Tokunation.com updates on the go? 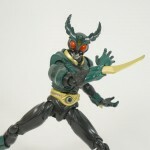 “Like” us on Facebook and follow us @tokunation on Twitter!! 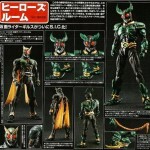 › Companies: Tamashii Nations, Bandai of Japan › Characters: Kamen Rider Gills, Kamen Rider Another Agito › Toyline: S.I.C. A scan(which turned up on 2chan) from the March issue of Hobby Japan shows us new images of SIC Kamen Rider Gills and SIC Kamen Rider Another Agito. Excited for these new Super Imaginative Chogokin releases? Take a look at the new SIC Kamen Rider goodness after the jump! All times are GMT -4. The time now is 8:47 PM.